Most people enjoy being the dominant life form in whatever room, building or landscape they may occupy. Cactuses, sperm whales and the common housefly all stand meekishly in the shadow of humankind’s achievements, which include mastering fire, developing the multibillion dollar telecom industry, and the Garfield coffee mug franchise. 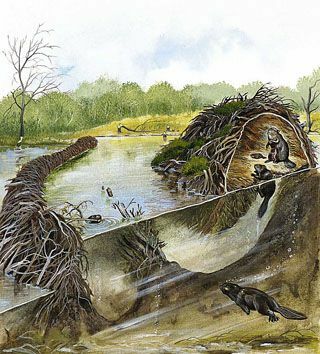 Even the largest and most ornate beaver dams and termite mounds are a joke compared to man’s buildings which literally tower over other species, often dominating them in their own habitats. In recent decades skateboarders similarly have differentiated themselves from other members of their species, displaying a capability to navigate backyard transitions and flip boards underfoot, at first in a stationary freestyle way, and later while maintaining respectable speeds. Possessed of a tribal instinct forged in the flamey fires of societal rejection, skateboarders identified themselves with lopsided haircuts, freeform denim and flat-soled suede sneakers, snarling at pretenders trying to cop the look without paying dues in parking-lot hours and spilled blood. Does the poseur, which once jockeyed with jocks and security guards for archvillain status, conceptually survive in this brave year of the rooster, 2017? Fattened on mall money and transfixed by sly winks from extreme-intrigued ingenues, collective guards have fallen away. Advice on appropriating skate stylings have become common enough that Jake Phelp’s occasional grouchy grumping over Thrasher tee-sporting celebrities is seen as increasingly quaint. Will Baby try and put the kibosh on Lil Wayne releasing a video part while still under a CMB contract? Does employing a housekeeper for one’s private skatepark and also a co-located bowling alley qualify Lil Wayne as ‘upriver’ on Jason Dill’s famed skate-scale or does it require a different benchmark altogether, like maybe the Russian deeps of Lake Baikal? Was all of this foretold after Ty Evans placed Mannie Fresh music into ‘Fully Flared’ for Lucas Puig, JB Gillet and JJ Rousseau, a music supervision masterstroke that may also have absolved Ty Evans of any number of indie-rock missteps over the years? This entry was posted on January 14, 2017 at 10:54 pm and is filed under Uncategorized. You can follow any responses to this entry through the RSS 2.0 feed. You can leave a response, or trackback from your own site. I am commenting to show you exactly what a wonderful encounter my little princess loved studying the website. Your woman observed many parts, with the addition involving precisely what it is such as a great brilliant supporting model to own relax without stress knowledge some intense issues.